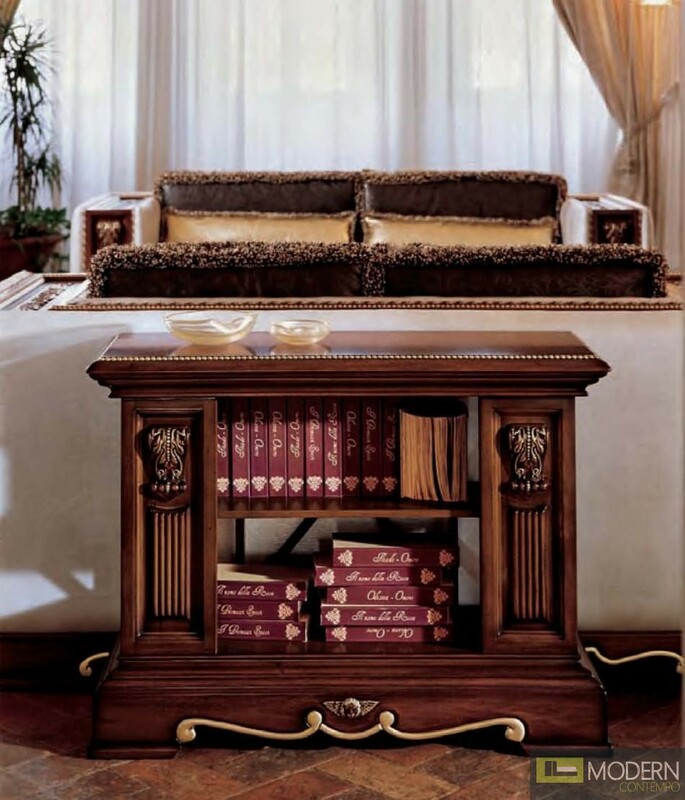 This beautiful piece of furniture is imported directly from Italy. This table looks fantastic situated behind a sofa or loveseat. The console table is constructed of dark walnut hardwood and has wood carving and golden accents throughout. The European feel of this table is undeniable. W39.4" x D15.7" x H29.9"